Authors of the law debunk some of the main concerns raised by experts and media as the draft itself is still to be voted by the Parliament. The Law “On the official language” foresees considerable increase of the use of Ukrainian language in all sectors of public life. However it will in no way affect private life. The law is an important element of Ukraine’s state security and independence. 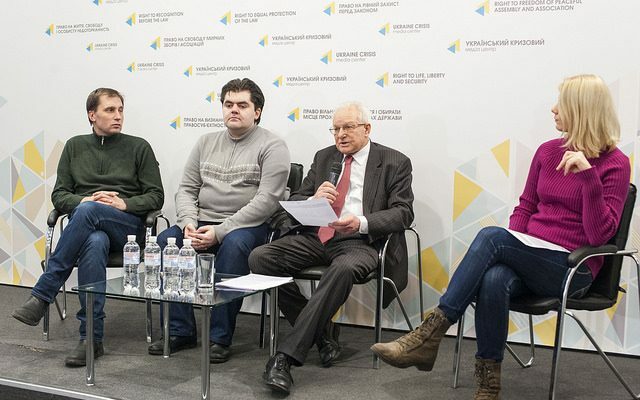 It boasts wide support of Ukrainians, claimed authors of the law at a press-briefing at Ukraine Crisis Media Center. “The laws that define the Ukrainian language as the only official language are supported by the majority that is identified not based on ethnicity but on the Ukrainian citizenship. These are Ukrainian citizens who respect its customs, traditions, history and language. These are ordinary people who feel no threat at all by the fact that the Ukrainian language is the only official one,” said Volodymyr Vasylenko, international lawyer, professor, Ambassador Extraordinary and Plenipotentiary of Ukraine, head of the working group that drafts. Opponents of the draft law are in fact much fewer than it may seem as a result of Russia’s information attack. “So-called Russia’s ‘fifth column’, Ukrainophobes and those misled by anti-Ukrainian propaganda speak out against the law, they are considerably fewer. However the tools Russia applies create big fuss and give an impression that a lot of people are against,” Vasylenko explained. The draft law foresees increase of the use of the Ukrainian language in the media: 90 per cent of nationwide broadcasting and 80 per cent of regional one. The law foresees a Ukrainian version of the web site for media as well as translation into Ukrainian for 90 per cent of films in cinemas. “The law embraces many spheres of public life. 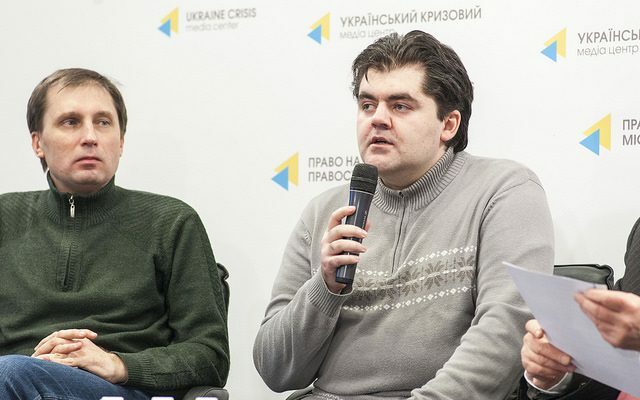 Our benchmark was that the Ukrainian citizen would not need to know another language to be getting information,” noted Serhiy Osnach, activist of “Vidsich” (rebuff) civic movement. The document also foresees control over its implementation. Posts of the language envoy and that of inspectors will be introduced. Commission on language standards will also start its work. “It is already working as activists are taking up the role of language inspectors. 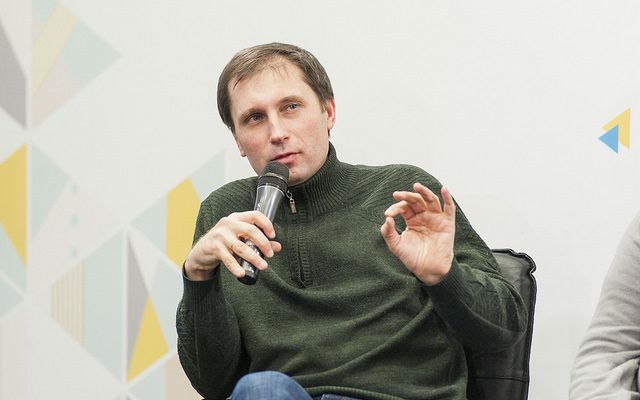 They are filing lawsuits and are winning court cases,” added Roman Matys, founder of initiative on protection of rights of Ukrainian-speaking people “I tak poymut” (‘they will understand you anyway’ – a phrase in Russian). 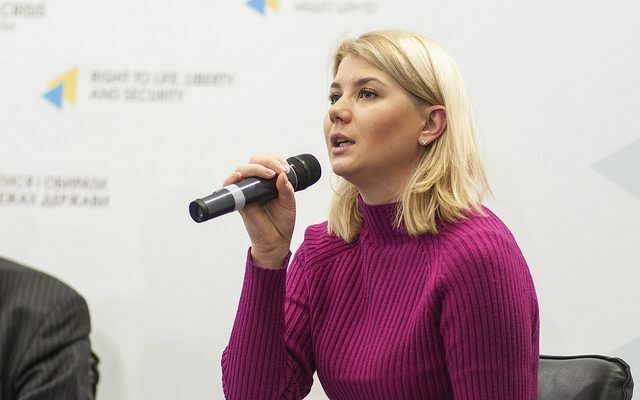 Taras Shmayda, co-coordinator of volunteer movement “Space of freedom” (prostir svobody) reminded that the Kolesnychenko-Kivalov language law is still in force in Ukraine. It leads to Russification of certain spheres. “Share of advertising in Russian has increased as opposed to the fact that in 2012 it did not even exist. Radio broadcasting is Russian-language by 30 per cent,” he said. There’s also Latinization of city signage rapidly growing. Under its current speed signs with the use of Latin characters will dominate in one-two years. The situation in Kyiv suggests that 30 per cent of the city residents speak Ukrainian, 30 per cent – Russian, and 40 per cent are switching between the languages according to the circumstances. “Our law gives grounds, supports a person so that they do not need to switch from one language to another,” Osnach explained.